It’s the age-old question: what’s the difference between renting vs. buying? With the housing market clearly improving, but interest rates also on the incline, people wonder if now is the time to buy or if they should keep renting. There are some that believe renting is too juvenile, while others appreciate the amenities and ease of renting. After all, a tenant does not have to worry about maintenance or repairs, while an owner most certainly does. Most will wonder if they should rent vs. buy a home, but before asking that question, there are several other issues that a buyer should consider first. Earnest Money: This is the deposit a homebuyer puts down to show that they are serious about the purchase. This amount is refunded to the buyer or put against the loan; therefore, it still comes back to them. Down Payment: Down payments will vary depending on the loan, but some loans require anywhere from 3.5 to as much as 20 percent. FHA, for example, will average 3.5 to 10 percent depending on credit and other factors. Appraisal: Before purchasing, an appraiser must value the home to ensure it matches the loan amount. Home Inspection: While not required, it is a buyer’s peace of mind protection to ensure there is nothing seriously wrong with the home they are buying. Property Tax: These are paid annually to the county and are assessed on six-month increments based on the market value of the home. Therefore, the tax amount is likely to increase if the housing market increases. Homeowners Insurance: Homeowner’s insurance is paid per year at the start of the year. Other Loan Fees: There are closing costs that a buyer must pay, such as inspection, taxes, and title fees. Recurring Costs: In addition to the upfront prices, a homeowner will need to assess the recurring costs. 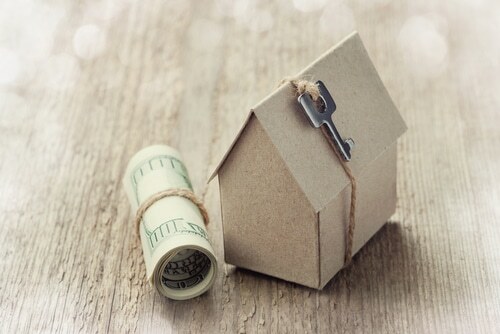 These costs can include the loan payment, property tax, annual homeowner’s insurance premiums, private mortgage insurance, and utilities.A homeowner is also responsible for the maintenance costs of their home as well as any necessary repairs. Security Deposit: This is required to hold the apartment and is an insurance policy against damage to the property upon move out. There is no guarantee that the renter will get this amount back. Nonrefundable Deposits: The nonrefundable security deposit is becoming quite common for tenants. This is a non-refundable portion of the security deposit that the landlord keeps, according to Nolo, for cleaning and other turnover processes. Some states, however, prohibit the use of nonrefundable. First Month’s Rent: When renting a new place, a tenant must give the first month’s rent before receiving the keys. Monthly Rent and Pet Rents: A tenant will have their monthly rental fee due on the first of every month. Typically, a large late fee is charged if the rent is received so many days after. Also, units that allow pets often charge a pet rent, which could include a hefty pet deposit. Renter’s Insurance: While not always required by the landlord, renter’s insurance is what protects a tenant’s property. This is typically $15 per month, but depends on the value of the tenant’s personal property, says US News. Utilities: Tenants are responsible for utilities just like homeowners. They may have to pay for all utilities or other times the services are included in the rent. Laundry Fees: Most apartments do not have laundry facilities inside. They may have community ones, but they still cost money. These costs can add up quickly, especially if a tenant does laundry weekly or multiple loads per week. 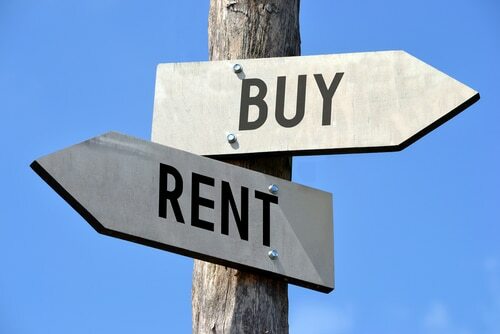 Renting Does Not Earn Equity: While each has costs, only purchasing earns a person money. Over time, as the loan balance goes down and the house’s value continues to rise, a homeowner will receive equity on their purchase. A tenant does not have that advantage. Based on our lists, is renting or buying the perfect fit for you?